A complimentary drink* to enjoy as you learn to make sushi. Your membership helps us to produce our amazingly successful campaign to end overfishing. * Terms and Conditions apply. 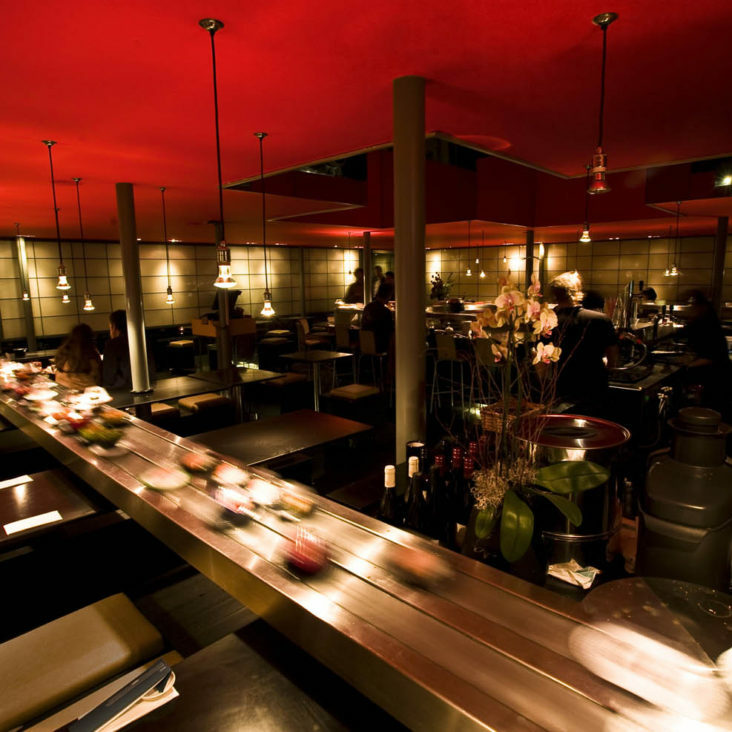 All offers and discounts are at the discretion of the owners of Moshimo, Brighton, and may be subject to change. As we never tire of saying, it is because of your support as a member that we are able to fund our ever more successful and influential Fishlove™ campaign. The Fishlove™ images we produce every year gets media coverage that simply no other campaigns can. We consistently get massive coverage for this issue, raising awareness of destructing fishing practices the world over. In 2015, Helena Bonham-Carter’s image with a tuna, which was launched to the front cover of the Evening Standard, was credited for having persuaded the Chancellor George Osborne to commit to creating the largest marine protected area IN THE WORLD. Not bad for a campaign run by a little ol’ restaurant in Brighton, huh? 50% Moshimo Madness is available all day Mondays and Tuesdays until further notice. 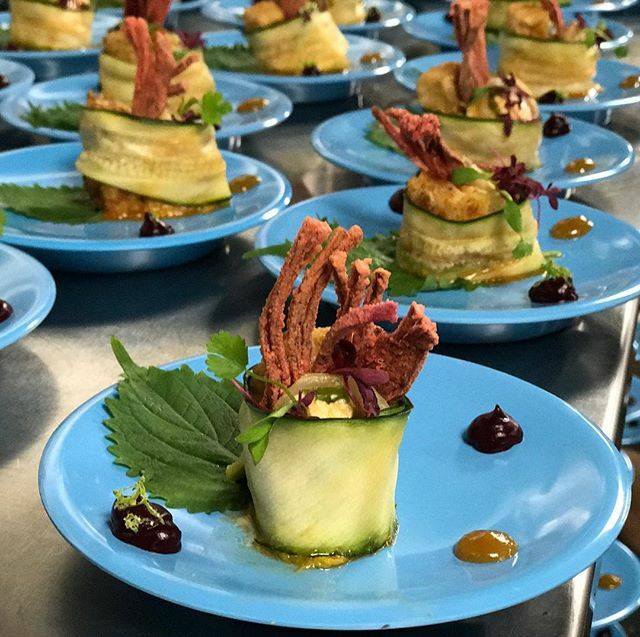 It is available to Moshimo Members on production of a valid MOSHIMO membership card, entitling the NAMED cardholder to 50% off their food bill. 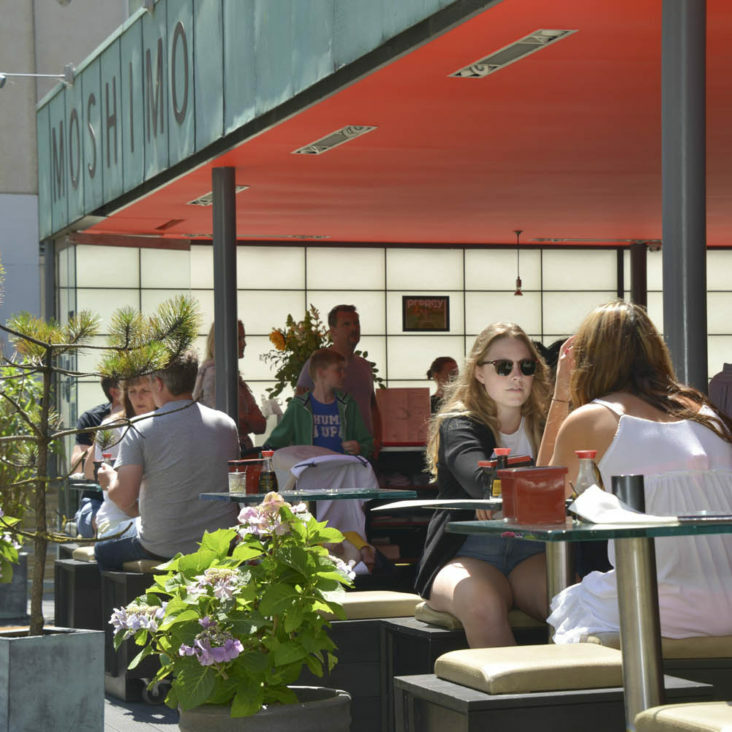 Moshimo Membership may be purchased for an annual fee of £24. The card is not transferable to another person but you can invite one guest to partake in the offer. If Moshimo Members bring more than one adult guest (or more than three children depending on their ages – please ask! 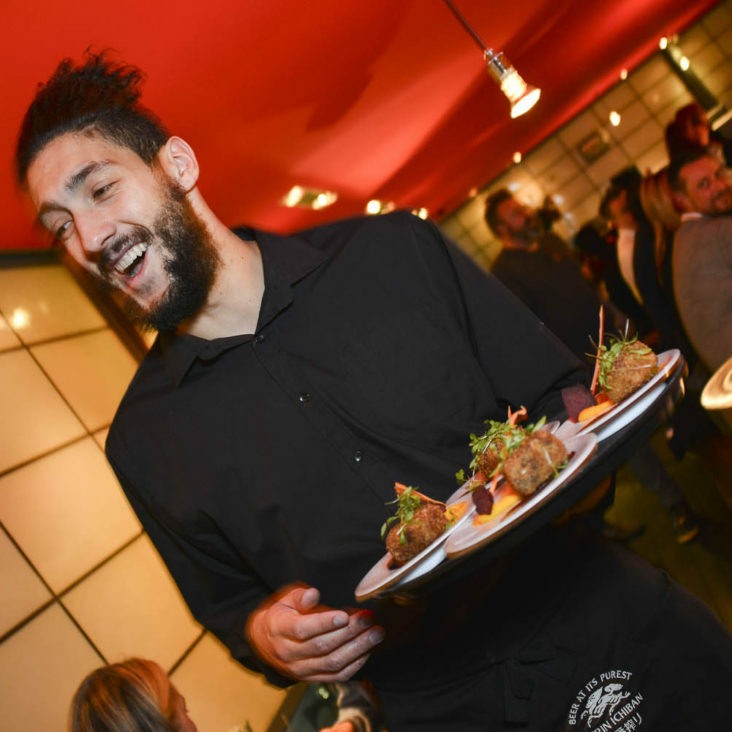 ), we will offer a discount calculated on the basis of the number of people dining on one card and is at the discretion of the manager: 3 people dining on one card (25%), 4 people (10%), 5+ people (5%). The offer includes all food eaten at the restaurant except for some items including uni (sea urchin), scallop, ikura and mentaiko gunkan, soft-shell crab, all desserts and the Moshimo Tasting menu. Drink purchase necessary for each person dining on this offer. This offer does not extend to take away. If you lose your membership card, you may re-apply for a card for £12. Not redeemable for cash. Not to be used in conjunction with any other offer. Subject to availability. All Moshimo Membership promotions are at the discretion of the duty manager. MOST IMPORTANTLY: Moshimo Madness is there to make Moshimo Members happy, so if you do not agree with these terms and conditions, please let us know before signing up to it! 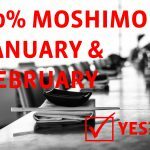 50% January and February Moshimo Madness is at the discretion of MOSHIMO and will be announced to MOSHIMO members before the beginning of each respective month, and in any case will not be available after 5pm on Valentine’s Day. The offer is available to Moshimo Members on production of a valid, unexpired MOSHIMO membership card, entitling the NAMED cardholder to 50% off their food bill. 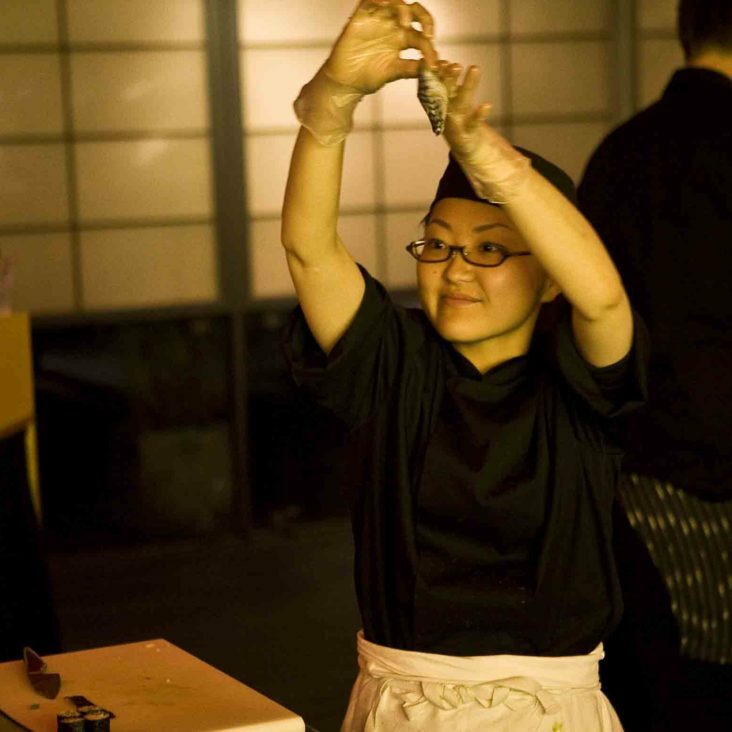 Moshimo Membership may be purchased for an annual fee of £24. The card is not transferable to another person but Members may invite one guest to partake in the offer. If Moshimo Members bring more than one adult guest (or more than three children), we will calculate your discount on a pro rata basis as per our usual Membership rules. The offer includes all food eaten at the restaurant except for some items including uni (sea urchin), scallop, ikura and mentaiko gunkan, soft-shell crab, all desserts, and the Moshimo Tasting menu. Drink purchase necessary for each person dining on this offer. This offer does not extend to take away. If you lose your membership card, you may re-apply for a card but we may charge you an administrative fee of £12 for this. Not redeemable for cash. Not to be used in conjunction with any other offer. Subject to availability. All Moshimo Membership promotions are at the discretion of the duty manager. MOST IMPORTANTLY: Moshimo Madness is there to make Moshimo Members happy, so if you do not agree with these terms and conditions, please let us know before signing up to it! 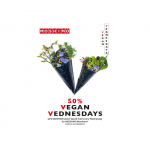 50% Vegan Wednesdays is available all day Wednesdays until further notice. 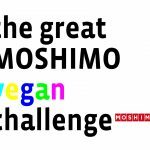 It is available to Moshimo Members on production of a valid MOSHIMO membership card, entitling the NAMED cardholder and three fellow diners to 50% off all plant-based (vegan) dishes. Non-members will receive 25% discount on all plant-based (vegan) dishes. 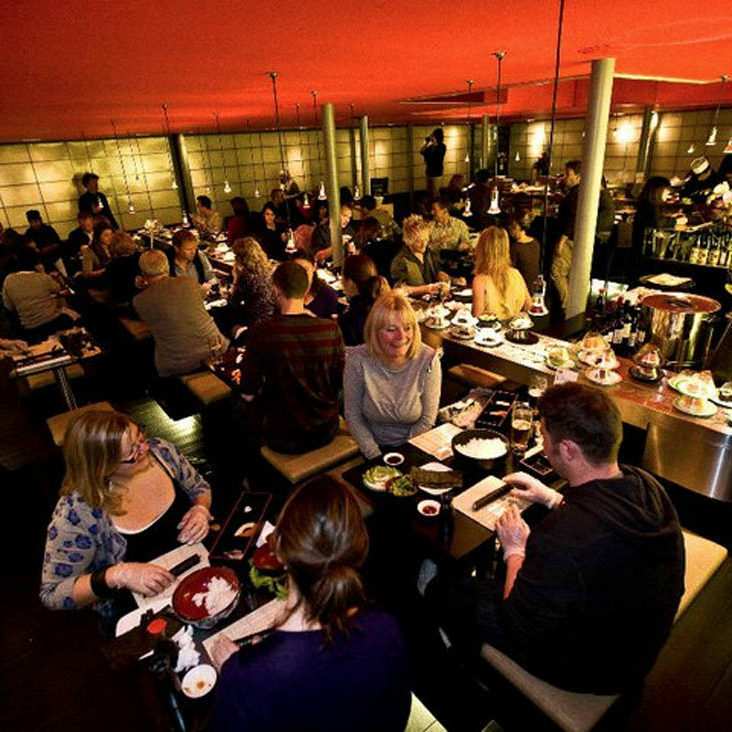 Moshimo Membership may be purchased for an annual fee of £24. The card is not transferable to another person and your guests must be sitting with you to partake in the offer. A drink purchase is necessary for people dining on this offer. This offer does not extend to take away. If you lose your membership card, you may re-apply for a card for £12. Not redeemable for cash. Not to be used in conjunction with any other offer. Subject to availability. All Moshimo Membership promotions are at the discretion of the duty manager. MOST IMPORTANTLY: 50% Moshimo Madness is there to make Moshimo Members happy, so if you do not agree with these terms and conditions, please let us know before signing up to it! A bottle of Prosecco to celebrate your birthday with five of your friends. Offer available up to 10 days either side of the date of your birthday. For groups of six people of more. Booking 24 hours in advance necessary. Evidence of your birthday may be required. 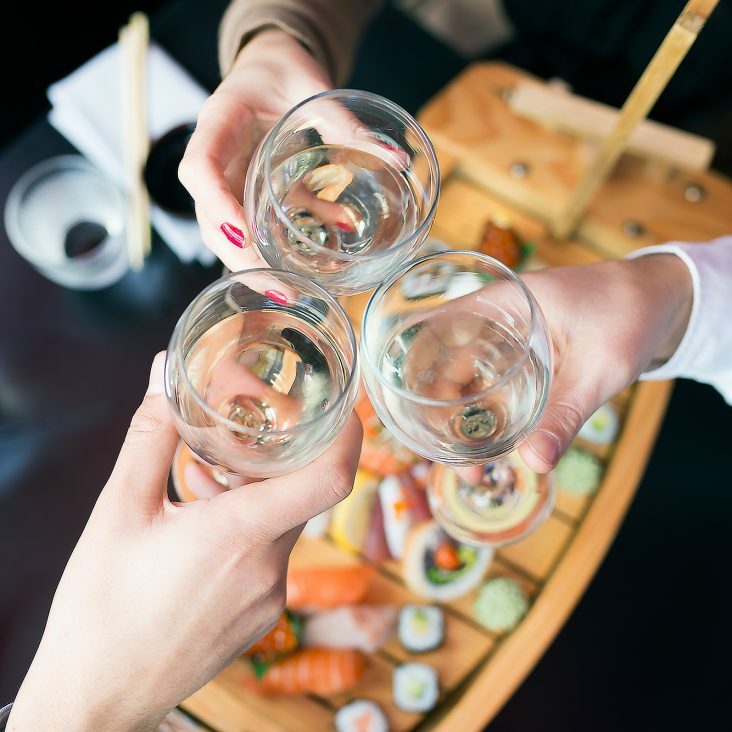 Moshimo does not guarantee the Birthday offers and gifts as part of the membership benefits, and can vary from time to time without warning: please check when you make your booking. All Moshimo Membership promotions are at the discretion of the duty manager. Members may choose a complimentary glass of drink from the following: 175ml glass of wine, one pint of Kirin, a 150ml flask of Onigoroshi sake, or a soft drink.